Smyth’s Toy Store Letterkenny Retail Park. Smyth’s Toy Store Childer's Road, Limerick. Smyth’s Toy Store Drogheda, Co. Louth. Smyth’s Toy Store, Navan, Co. Meath. 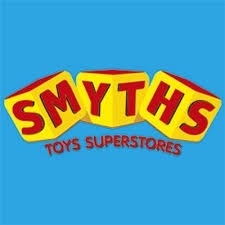 Smyth’s Toy Store, Sligo Retail Park. The modifications to the existing Mechanical and Electrical Services Installations will involve upgrading the existing systems to the current building regulations and latest life safety standards. The projects consists of the design and modification of the existing Fire Alarm System, Emergency Lighting, Electrical Distribution, Power Supplies, Ventilation, Water Services, Gas Services, Heating Controls, and above ground drainage systems, and it will involve upgrading the existing systems to the current building regulations and latest life safety standards. The projects will be implemented on a phased basis with one store being modified at any given time, and the majority of the works carried out after opening hours. The first phase of the project is due to commence in April 2015 and compliments our extensive successful experience in the retail sector.